During the winter, Oxted Runners joins together with our sister club, Holland Sports AC, to enter combined teams in the ladies’ and men’s Surrey Cross Country League race series. The series normally consists of four races, although these are not always at the same location or on the same date. Everyone is welcome to take part, even if you are only able to make a few of the four races. We need a minimum of 5 for the Ladies team and 10 for the Men’s team. Our senior men and ladies compete in the lower divisions of the Surry cross country league, meaning there is always room for a wide range of abilities – including the slower or older runner – to take part and enjoy the wonderful camaraderie of competing as a team. 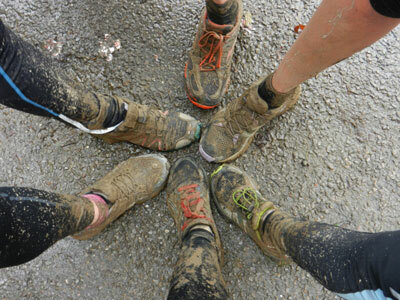 The terrain will vary for each venue and can be challenging with rough ground, hills and almost definitely some mud ……. which appeals to some more than others! If you are interested in participating and would like to receive more information prior to each race, please contact us.